Beach holidays: The gorgeous beach on Playa Blanca holidays is a real sight for sore eyes. The name of the resort itself translates as ‘White Beach’ and that’s exactly what you’ll find on holidays here. The cotton-coloured soft sand makes a nice change from the dusky golden and black beaches you find on many other holidays in the Canary Islands. Up and coming resort: With most major development only occurring over the past 20 years, all the hotels in Playa Blanca have modern amenities and fresh, clean designs. Promenades, parks and squares were created during this time too, all with great holidays in mind. Near to natural wonders: Playa Blanca holidays 2019 have a unique advantage in that they’re the nearest to the arid, alien landscapes of Timanfaya National Park. Playa Blanca is also the closest resort to El Golfo, a pretty little village with a lurid green lagoon! For more information on Lanzarote resorts click "Lanzarote Holidays" to read specific resort guides for Lanzarote. 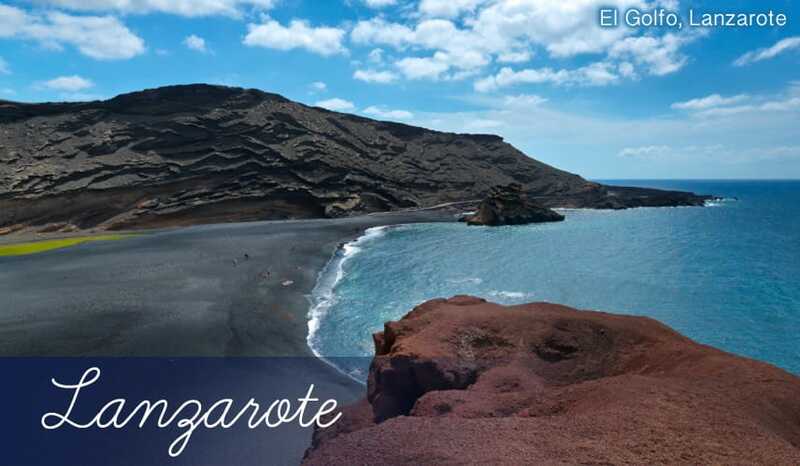 Montana Roja: A sprawling burnt orange-coloured mountain (the name literally translates as Red Mountain); you can even join a guided walking tour to reach the crater at the top during your holidays in Playa Blanca. Once there you’ll also be able to take in the amazing view of the desert-like landscape and the thousands of whitewashed houses. Timanfaya National Park: This unique national park is unlike any other in the world. Rather than your usual lush forests of green and colourful wild flowers, here you can expect otherworldly vistas of browns, reds and yellows. The arid mountains here are a result of eruptions from over 100 volcanoes around 1730. As an ongoing effect, temperatures are extremely hot just a few metres under the ground, and you’ll see demonstrations of this with the hot water geysers that spurt into the air. You could even have a meal in the El Diablo restaurant, which serves food cooked using an exposed part of the hot ground underneath. So a visit here will count for two unforgettable experiences on holidays to Playa Blanca. El Golfo Green Lake: Many people on their holidays in Playa Blanca also stop at the village of El Golfo, as it’s quite close by to Timanfaya. The main attraction here is the luminescent green lake, formed by a unique combination of minerals, sea salt and algae. You can even buy green rocks with the same mineral, Olivine, from the village. Have you thought of reading our holiday resort guide for Costa Adeje? Click "Costa Adeje Holidays" for a dedicated guide. Playa Blanca: The main beach is also Playa Blanca’s namesake. A nice wide stretch of cotton-soft white sand makes this an attractive coastline for beach holidays. 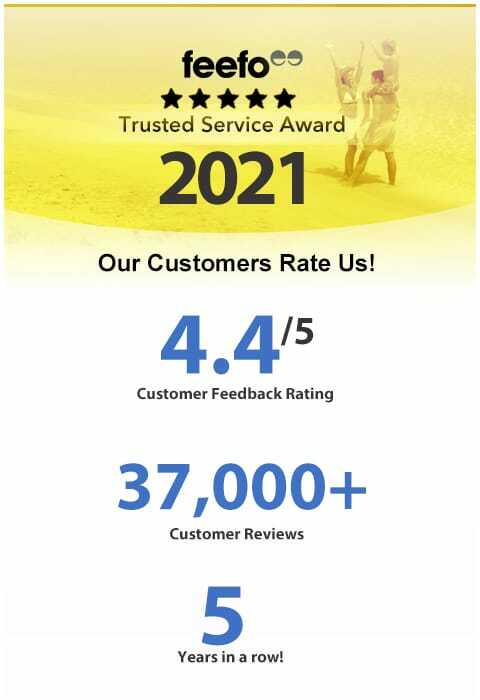 Awarded Blue Flag status since 2003, you can also rest assured Playa Blanca Beach is clean and completely safe for swimming. Playa Flamingo: A 200m long gently curving white beach, just to the west of Playa Blanca. Lined with palm trees all the way along the perimeter, this shoreline makes a refreshing change from Playa Blanca Beach, and as an added bonus, it’s quieter too. Playa Dorada: A golden beach of soft, fine sand, which leads into the cooling waters of the Atlantic. There’s a refreshing breeze here too, but the waves never get too choppy, as the coast has a natural curve over its 300m length. La Colina de Colacho: For sophisticated dining with a Mediterranean twist, head to La Colina de Colacho. The sleek, modern decor perfectly complements the dishes on the menu. Give the sweet Pumpkin Soup a try for starters, creamy Steak B�arnaise for your main course, and how about Orange Tart with Chocolate Sauce for dessert? You may as well treat yourself while having your holidays in Playa Blanca! Tipico Canario: A fantastic seafood-specialist restaurant situated in a prime location along the coast of Playa Blanca. Expect authentic Canary Islands dishes such as Octopus or Steak, served with classic Mojo sauce. Don’t forget to try the Canarian potatoes while you’re here too, they’re served wrinkly (from being cooked in saltwater) with their skins still on. Terrace Bistro: Fancy a taste of home while you’re on your holidays? Terrace Bistro is for you. They serve hearty home-cooked British meals, including Steak & Ale Pie, Full English Breakfast and Bread ‘n’ Butter Pudding. Best of all, everything is cooked fresh from scratch using quality ingredients. Drink and relax: The only really lively holidays for nightlife in Lanzarote are on Puerto del Carmen and Costa Teguise holidays. You’ll still find a good selection of bars on Playa Blanca holidays though, and many of them are grouped together within the Papagayo Commercial Centre. The Wax Bar is incredibly popular, as it welcomes families with children, there’s a large range of cocktails and it always has great sports programmes on the TV! Aside from that, there’s the Irish-themed Mollie’s Pub, the American-style Harleys and Jungle Bar, which has some awesome foam parties. Centro Comercial Papagayo: As well as being the place to go for nightlife, the Papagayo Commerical Centre is unsurprisingly the best area for shopping too. There isn’t too much out of the ordinary here though, just great value electrical, perfume and alcohol shops. And remember, everything is duty free on holidays to Lanzarote!